The 250 includes five solid days of range work, lectures and intensive indoor, outdoor and low light, live fire simulators. You will be in control of your immediate environment. All certificates are graded and many lifelong friends will be identified during this experience. 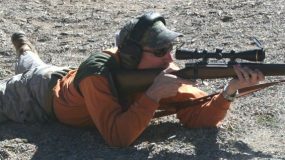 Gunsite presents the “Church Defense” course February and June. This class is highly recommended for those who have been tasked with protecting their flock from the ever increasing violence in a perceived soft target.